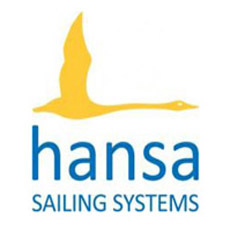 The Hansa Class World and International Championships has been opened in spectacular fashion in Hiroshima. 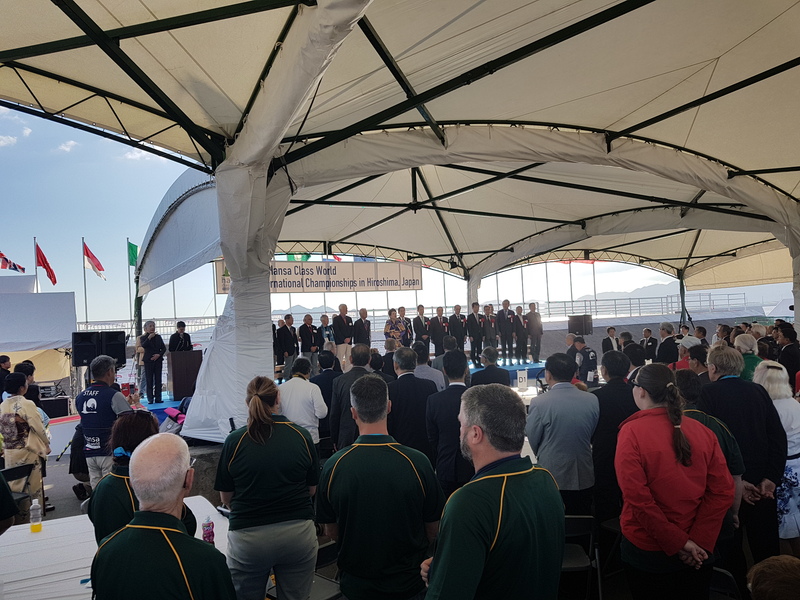 In front of dignitaries, 191 sailors from 24 nations, supporters and volunteers, the 2018 World and International Championships have been declared officially open. Competitors had their first chance to test the waters in a practice race for all divisions following final registration and measurement. 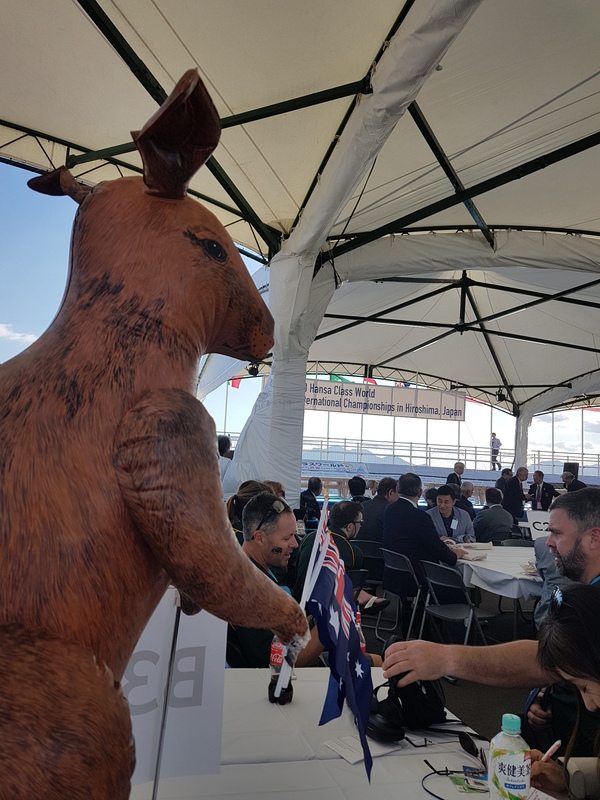 Fluky winds saw the fleets stretched across the course, with the experienced and local sailors making the best of the conditions. 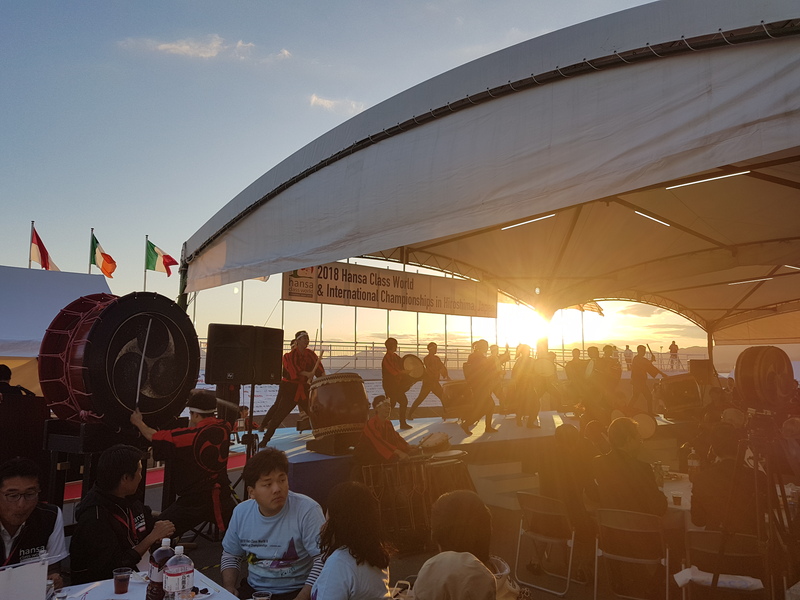 The opening ceremony featured drummers from the Wadaiko Club on traditional Japanese drums, along with a performance by opera soprano singer Mayumi Fujita. VIPs including the Governor and Mayor of Hiroshima, the Presidents of the IHCA and JHCA and executive of the Organizing Committee all welcomed sailors and their friends to Hiroshima and Japan with hopes of good sailing, good sportsmanship, and a better understanding of inclusion and Hiroshima’s quest for world peace. Racing starts tomorrow with the single person divisions in the morning session, with the 303 doubles in the afternoon. 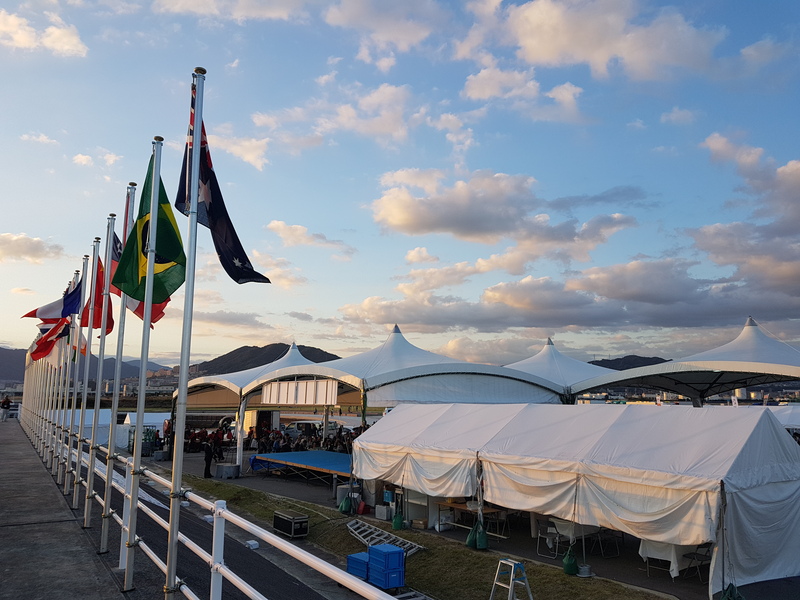 2 races are scheduled for each day, with a mid week sailors party and the closing ceremony and prize giving on Thursday. Competitors have been impressed with the enormous effort that the OA have put into this event, with great thought given to all aspects of the event – from shuttle buses to get competitors to the events, an efficient registration system, accessible toilet and shower facilities, a locker area for personal goods and Japanese translators assigned to each group within the tent city which is the ‘athletes village’. 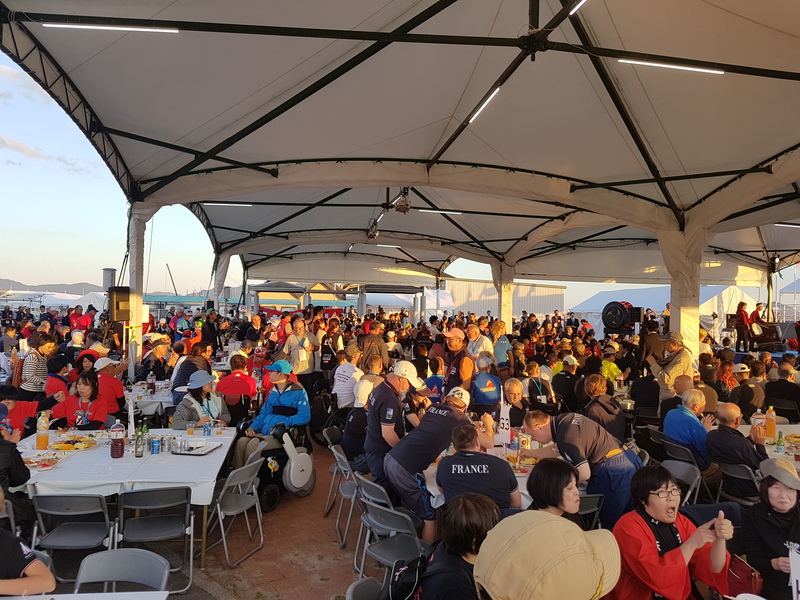 An army of volunteers are on hand to assist with any request – conveniently wearing colour coded jackets to assist competitors to easily find either a translator or someone to assist with their boat. 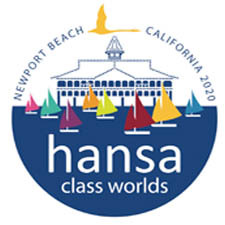 This event is the largest Hansa Class Worlds ever held, and the first in Asia and, with several current and former National and World Champions competing, it promises to be an event to remember.